When the blood supply to any part of your brain is cut off, damaged, reduced or interrupted brain tissue will be deprived of food and oxygen. When brain tissues and cells do not receive food and oxygen brain cell death begins in a few short minutes. Emergency and prompt treatment is vital. Early medical intervention will minimize brain damage and the life-changing complications and symptoms that are the result. Fewer Americans die of stoke today that fifteen years ago. Better treatments and control of major stroke risks are being monitored. If you watch your high blood pressure, smoking habits and cholesterol levels your risk of stroke is greatly reduced. Sudden weakness or paralysis on one side of your body that includes your arm, leg or face. Raise your arms over your head. If one arm inadvertently starts to fall you may be experiencing a stroke. Smile; if one side of your mouth droops, this is also an indication of stroke. Blurred, blackened or double vision in one or both eyes is a definite sign of a stroke. An intense and very sudden headache that is accompanied by altered consciousness, vomiting or dizziness may mean you are experiencing a stroke. Even if some or all of these symptoms go away, call your doctor or go to an emergency room immediately. Even minute counts when you or someone close to you is undergoing a stroke. Thrombotic strokes follow a blood clot or thrombus that forms in the arteries bringing blood to your brain. Clots can be caused by plaque or fatty deposits that build up in your arteries and block blood flow. Embolic stokes happen when the blood clot or any other debris in your blood stream forms away from your brain, perhaps in your heart, and is moved through your bloodstream and lodges in the narrower brain arteries. A blood clot in your brain is an embolus. Intracerebral hemorrhage or when a blood vessel in your brain breaks and blood is spilled into surrounding brain tissue. Those cells beyond the break are deprived of blood and begin to die within moments. High blood pressure, trauma to the head, blood thinning medications and vascular malformations are often the cause of intracerebral hemorrhages. Subarachnoid hemorrhage occurs when an artery near the surface of the brain bursts. The blood then spills into the space that lies between the skull and your brain surface. This type of hemorrhage is accompanied by a sudden and very severe headache. Subarachnoid hemorrhages are generally caused by the rupture of an aneurysm or a small berry-shaped bulge in an artery in the brain. When this aneurysm breaks the blood vessels in your brain will widen and narrow erratically. This is called vapospasm and causes blood to be cut off from parts of your brain. Again, cells begin to die. Transient ischemic attack or TIA is labeled as a ministroke. You do have the same symptoms as in a stroke, but they are very brief. A transient ischemic attack is caused by a slow down or temporary decrease in the blood to your brain. The episode lasts only five minutes at the most. Most TIAs do not leave lasting complications since the blockage is only temporary. Do see emergency medical attention even if your symptoms clear up quickly. If you have had a TIA you may have a partially blocked artery and you are now at a greater risk of a major stroke that could cause permanent damage. High blood pressure. If your blood pressure readings are higher than 120/80 mm Hg you will probably be put on medication to lower pressures and prevent strokes. High blood pressure is treatable even if you smoke, have diabetes, or high cholesterol levels. Being overweight or obese is definitely a risk of stroke. Sleep apnea can cause strokes. If you are physically inactive, have cardiovascular disease or use hormone treatments that contain estrogen you might want to watch out for strokes. Heavy drinkers need to be very cognizant of stroke possibilities. If you use prohibited drugs such as methamphetamines and cocaine, your brain is already damaged and at risk for strokes. Relative (parents, siblings, grandparents, etc.) history of strokes, heart attacks or TIAs (ministrokes). Being African-American raises the stroke possibilities. Men have a greater risk of strokes than women, but women are inclined to die after having a stroke more often than men. 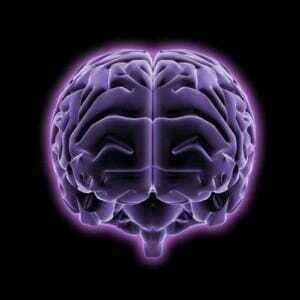 The lack of blood flow to one side of our brain that ultimately causes strokes will bring on life-changing elements. You will possibility suffer from paralysis or loss of muscle movement on one side of your body. You may lose control of muscles on your face or one arm. Strokes can affect control over the way you eat, talk or swallow. Dysarthria or slurred speech is often a complication of stroke and aphasia or difficultly with language is a very sad complication. Memory loss or the inability to think cognitively is a complication. Making judgments, reasoning or understanding concepts may become difficult. However with therapy these types of complications can be helped. Those with strokes often experience emotional problems and depression may be a result. There have been studies that give examples of stoke victims who have become very violent, present with uncontrolled weeping, and the inability to rationalize. Those who have had strokes tend to have numbness, pain, and other sensations in the parts of their bodies that were affected. If you lose feeling in an arm, for example you may feel uncomfortable tingling in that arm. Temperature changes can cause discomfort and extreme cold will trigger central pain syndrome. Control high blood pressure or hypertension. This is one of the most important things you can do to reduce stroke risks. Exercising, using stress management techniques and staying at a healthy weight are preventive measure for strokes. Limiting sodium and alcohol will keep high blood pressure in check. Add potassium to your diet and take any medication you are prescribed by our doctor. Watch your cholesterol levels. Eat a cholesterol and fat preventive diet. Stop with the saturated fats and Trans fats. You may have to use a cholesterol-lowering mediation if you cannot control cholesterol by eating right. Stop using tobacco. Smoking raises the risk of stroke for smokers and those in the home who are exposed to second hand smoke. Control diabetes. Diet, exercise, weight control, mediation and living a healthier lifestyle will definitely lower your risk of stroke. Keep your weight in check. Any excess weight you carry contributes to stroke risks. Weight can bring on diabetes, high blood pressure, and cardiovascular disease. Losing just ten pounds may reduce your blood pressure significantly. Prevent strokes by eating a diet rich in fruits and vegetables. Exercise regularly. Use aerobic exercise techniques to reduce your risk of stroke. Exercise will help you lose weight, control diabetes, and take away stress. No more drinking to excess. If you absolutely cannot live without a drink, do drink in moderation. Heavy drinking is a high risk factor for strokes. If you have obstructive sleep apnea use an overnight oxygen apparatus to help you sleep better. Do avoid at all costs illegal and illicit drugs. Cocaine and methamphetamines are high risk factors for strokes. Cocaine reduces blood flow and does cause narrowing of arteries. Life healthy and contain your risks for strokes. You lifestyle definitely plays the most important part in controlling strokes.